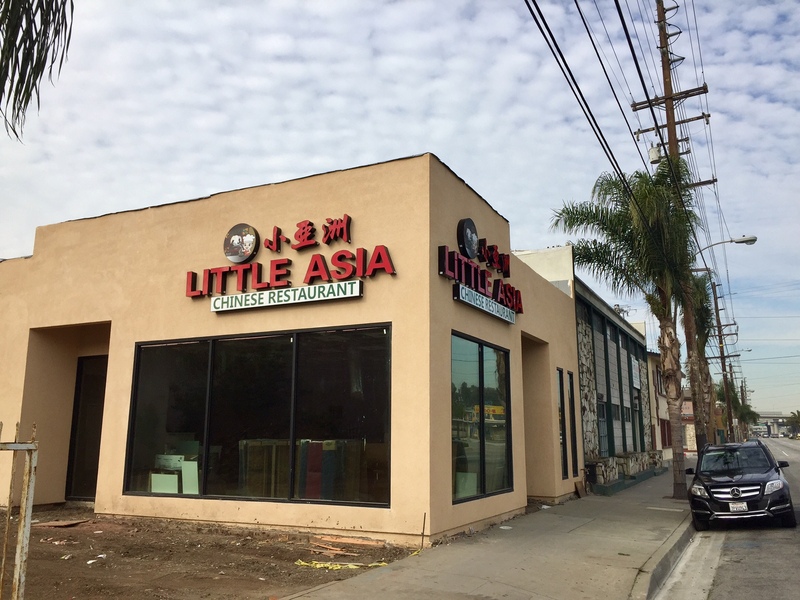 This is one of those times that I vastly underestimated the excitement over a story… Ever since I told you about Little Asia’s impending return to Hawthorne, the interest has been astonishing. You may recall that the beloved purveyor of Asian food closed down on the corner of El Segundo and Hawthorne after a devastating fire some three years ago, and most thought that was the end of the popular restaurant. Then back in March of this year, I noticed that they appeared to be behind a new build out at 4624 W. Imperial Highway in Hawthorne, a stone’s throw from the old location. So, for all of you who have been carefully checking for details and demanding answers, I have this happy news: Little Asia is now open at their new location. An ABC application in the window means you’ll soon be able to toast their exultant return with beer and wine. The signs are up on the space at 5263 Rosecrans Blvd. in Hawthorne announcing that soon a new frozen treat shop will be throwing open its doors. According to the window paper, Swirl Soft Serve will be specializing in hand swirled dairy, non-diary, and vegan ice cream and sundaes. It looks like they’re shooting for a mid-April opening. 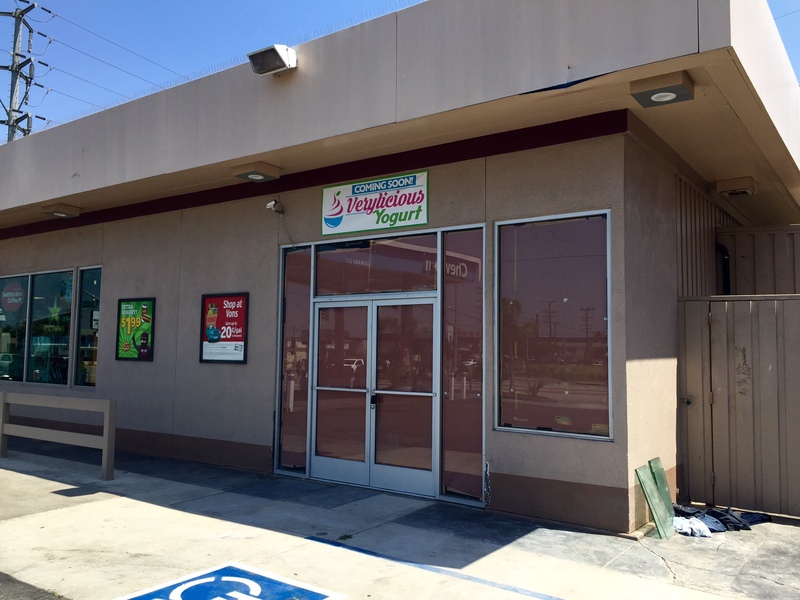 I recently noticed a banner attached to the front of the space at 12801 Inglewood Ave. (corner of El Segundo) in Hawthorne announcing that Verylicious Yogurt will soon be arriving. This particular corner has become a bit of a destination recently, owing to Eater‘s nod to new Chinese-American restaurant sensation Chubby Rice. Not a great deal of information out there yet on the new icy treat shop, just a Facebook page, but I’ll keep watching. For some indeterminable reason, a great many of you have been fascinated with the leaden progress of the two westernmost outlets of “best boba alive” chain Honey Boba. I haven’t the faintest why it takes them so very long to open: The LA branch at 11573 W. Santa Monica Blvd. has been sitting idle since 2014. 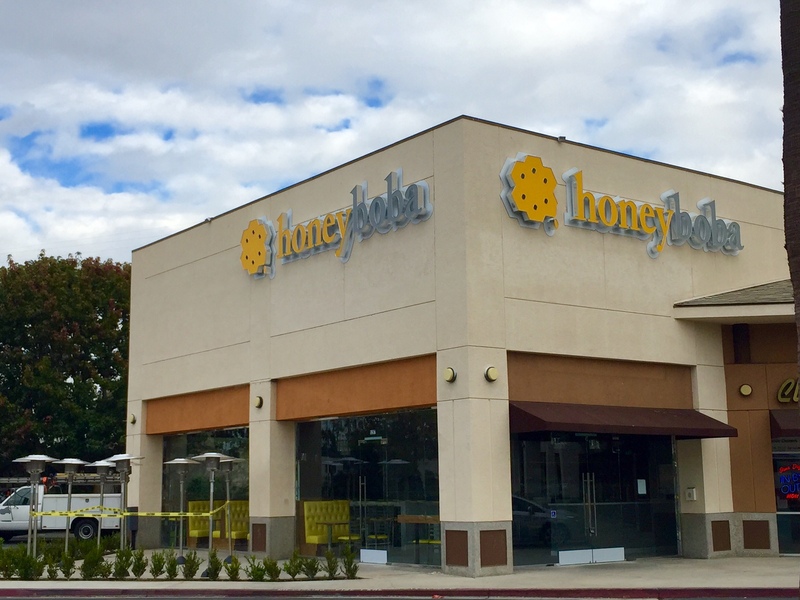 But there’s been a glimmer of hope… Hawthorne’s cheerful branch of Honey Boba has now opened in the Glen Court shopping center at 5267 Rosecrans Ave. Read more about them and find other locations here. A great many of you have been following with rapt attention the extraordinarily slow progress of the still unopened Honey Boba on Santa Monica Blvd., just to the west of the 405. (They appear to be quite close to opening.) 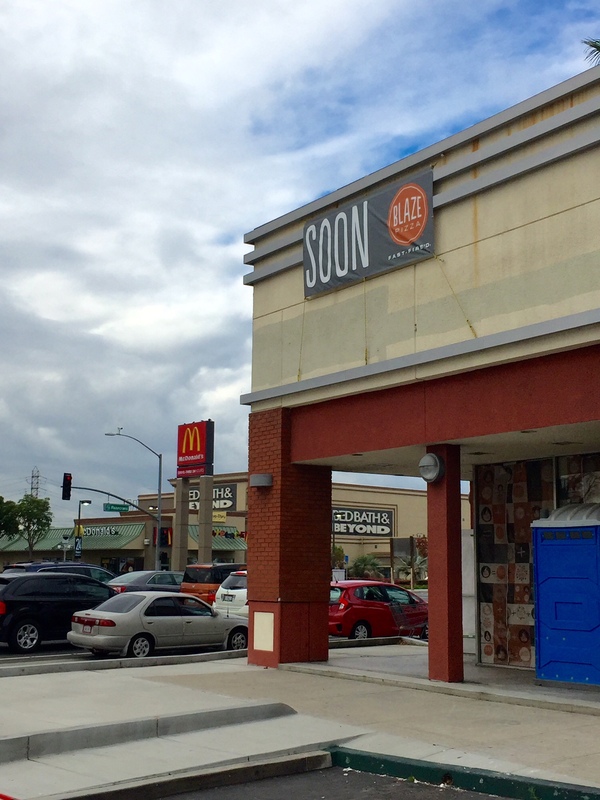 With locations already in Gardena, Lomita, Rosemead, and Arcadia, the boba chain continues its tortoiselike march toward the beach with a new location arriving soon to the Glen Court shopping center at 5267 Rosecrans Ave. in Hawthorne. Until that fateful day, read more about “the best boba alive” and check out their menu here. It looks like the busy aerospace industry can look forward to yet another lunchtime choice soon… After having sat vacant for quite a while, the free-standing building that used to house a Qdoba at 5221 Rosecrans Ave. in Hawthorne (just to the west of the 405) is about to get a new tenant. Signs are up indicating that a branch of “fast fire’d” build-your-own pizza restaurant Blaze Pizza is moving in. Looks like they’re planning on an opening sometime next year, but until then, check out the menu of the rapidly expanding national chain here.